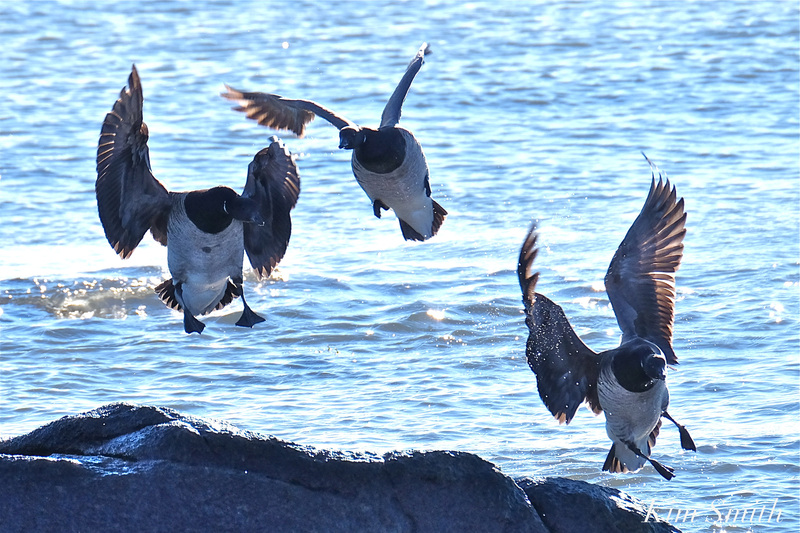 BEAUTIFUL BRANTS, SCAUPS, AND RING-NECKED DUCKS MIGRATING RIGHT NOW ON OUR SHORES! The northward avian migration is heating up! The following are just three of the fascinating species of wild birds readily seen at this time of year, found all around Cape Ann. 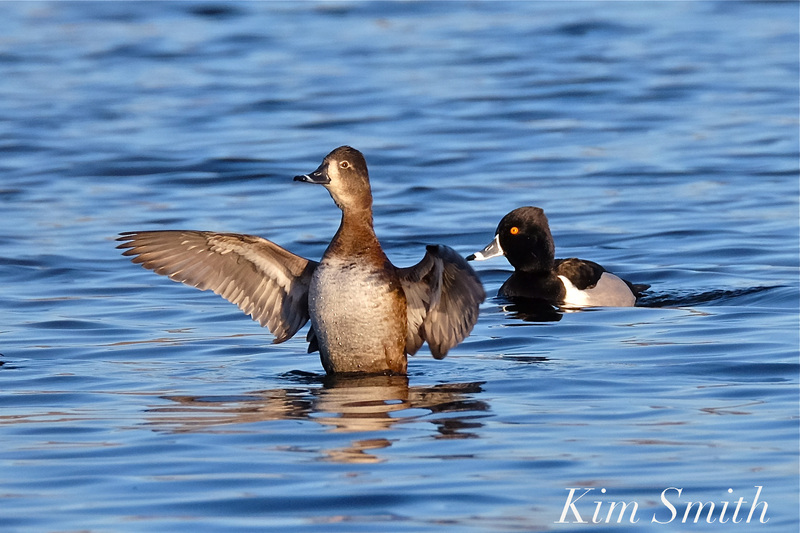 Look for Brants, Scaups, and Ring-necked Ducks at coves, bays, ponds, quarries, and marshes. 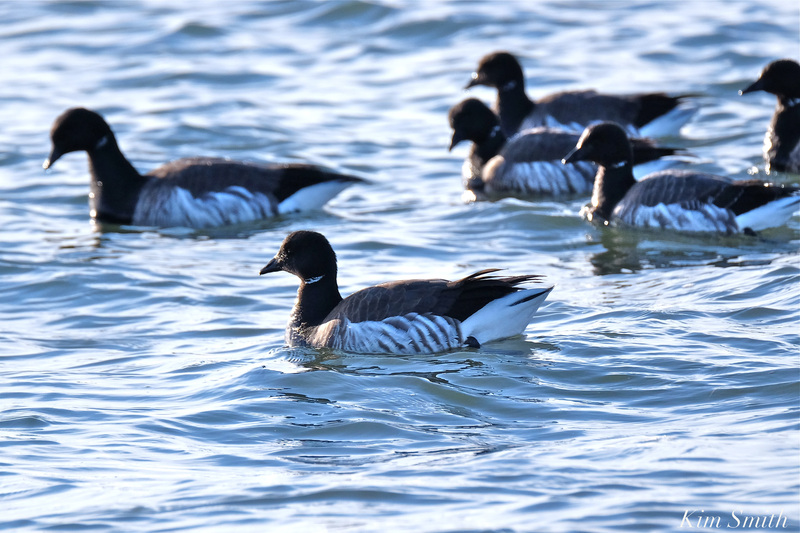 Currently migrating along Cape Ann’s shoreline is a beautiful brigade of Brant Geese. They usually turn up at about this time of year, late winter through early spring, and I have been looking for them in all the usual places. Brants thrive in Cape Ann coves, devouring sea lettuce while riding the incoming and outgoing waves. I see them eating and pecking for food atop barnacle-crusted rocks and am not sure if they are eating seaweed caught on the rocks or tiny crustaceans. Brants eating bright green sea lettuce. In the 1930s a terrible disease devastated eel grass and the Brant population plummeted. Surviving Brants adapted to sea lettuce and as the eel grass recovered, so too is the population of Brants recovering. Brants are wonderfully vocal, making a funny “cronk” sound. I was walking past a flock of geese off in the distance and wasn’t paying much attention. Thinking they were Canada Geese, I ignored them until hearing their vigorous cronking. They fight with each too, over rocks and food. Tomorrow if I can find the time I will try to post photos that I took of a Brant scuffle. Brants feeding on the rocks are knocked off by the incoming tide, but then quickly get right back up again. 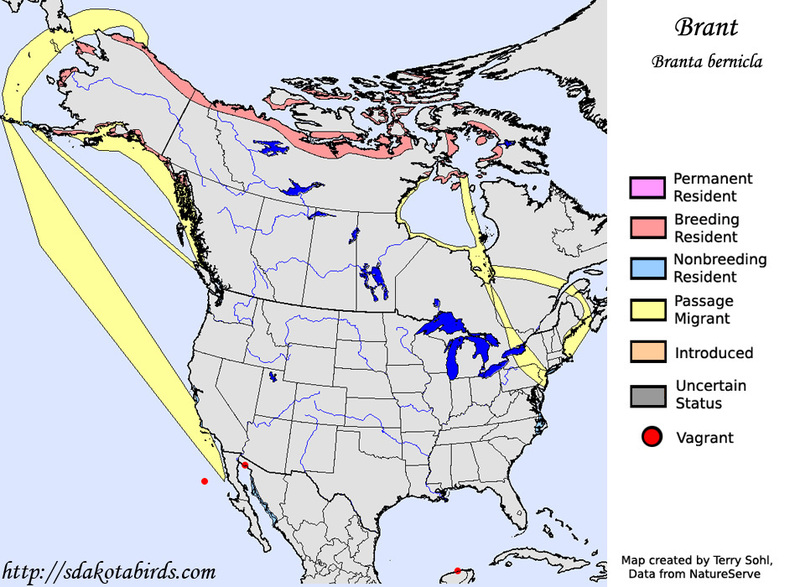 Brants migrate the furthest north of any species of goose, as far north as Hedwig territory. 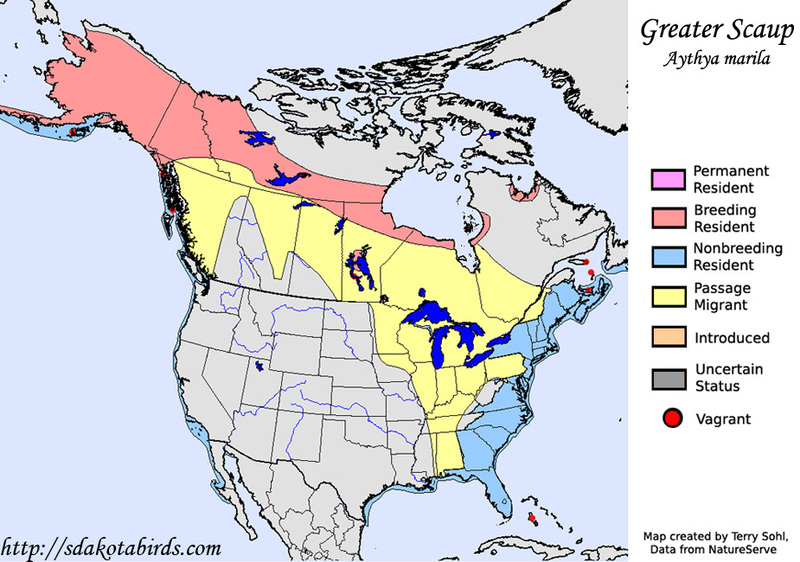 The Greater Scaup breeds as far north as Snowy Owls and Brant Geese, and Ring-necked Ducks are also passing through, not traveling quite as far, but on their way to the Alaskan and Canadian boreal forests. Greater Scaups travel in flocks, sometimes forming rafts of thousands. 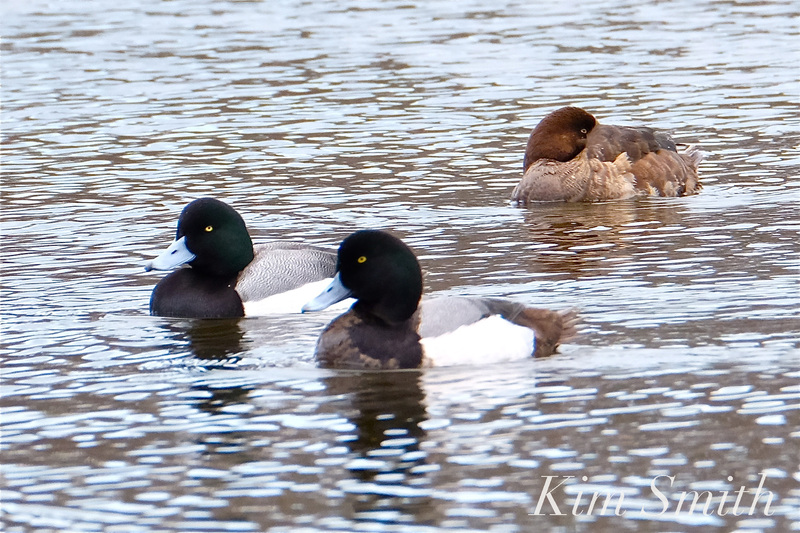 You can see why in the photos Greater Scaups are colloquially called Bluebills. 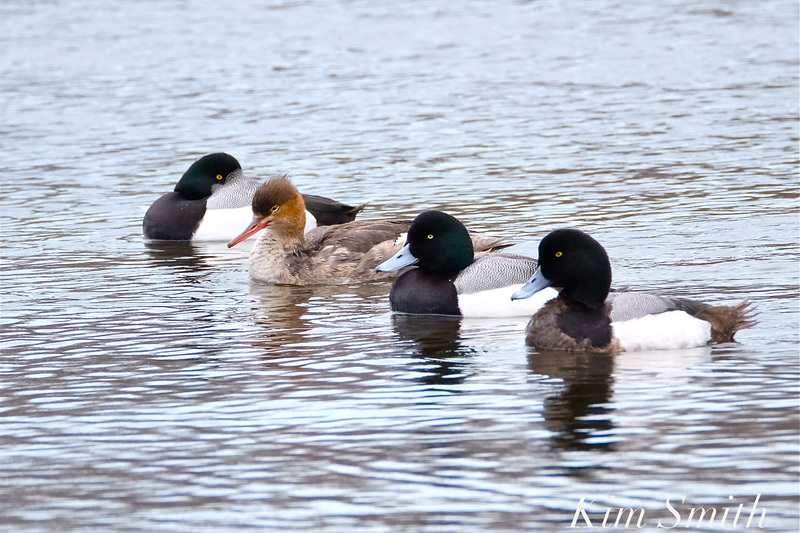 The most significant threat to Greater Scaups is habitat loss, oil, and sewage pollution. 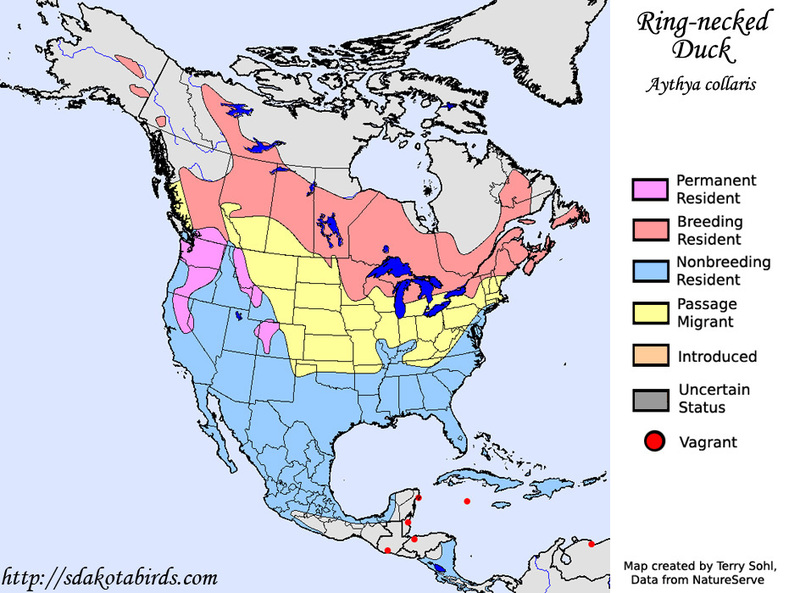 Nearly eighty percent winter over in the Atlantic Flyway where they are subjected to heavy metals in foods and habitat. So many suitors! 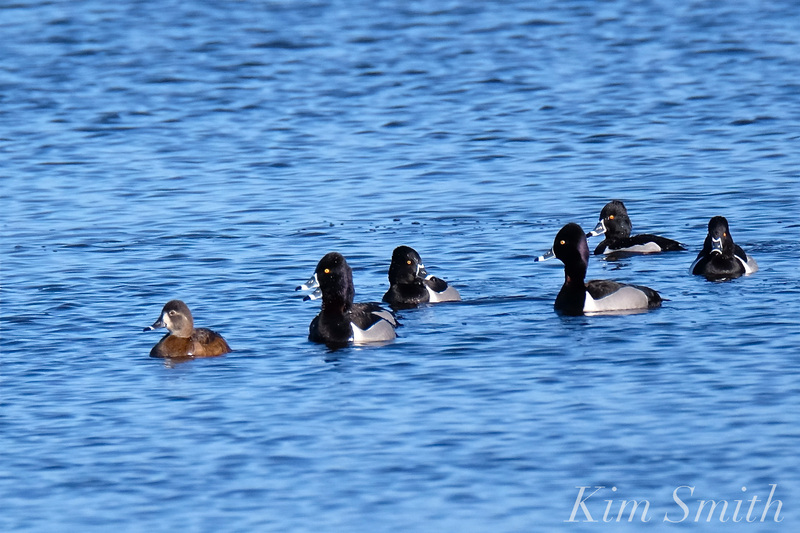 Lone female Ring-necked Duck with potential mates. The two species are closely related (Aythya collaris and Atythya marila); both are small diving ducks and both are vulnerable to becoming poisoned by lead from diving for food and incidentally eating the lead shot and lures that continues to cause problems in our wetlands. 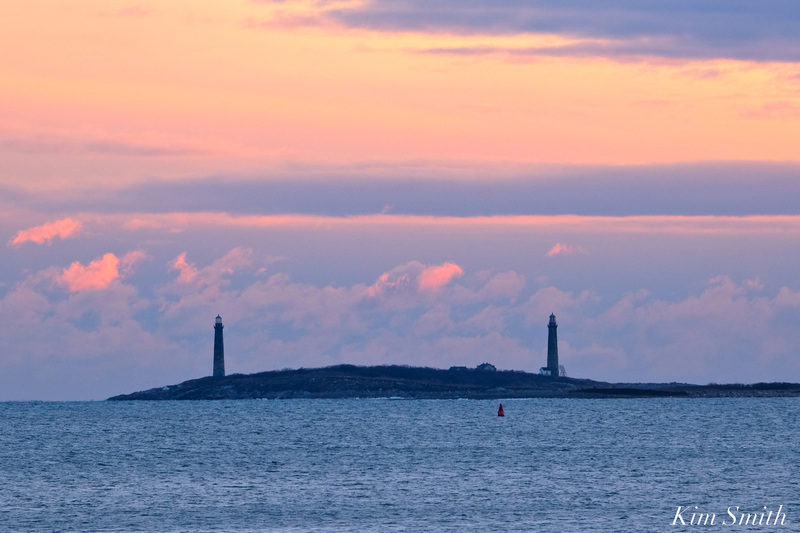 This entry was posted in Birds, Birds of New England, Cape Ann Wildlife, conservation speaker massachusetts, Gloucester, Rockport and tagged American Brant, Atlantic Flyway, Atlantic Ocean, Aythya collaris, Aythya marila, Beautiful Birds of Cape Ann, birds of cape ann, Black Brant, Brant, Brant Goose, Brant Goose Massachusetts, Branta bernicla, Brent, Brent Goose, Cape Ann, Gloucester, Gloucester Massachusetts, Greater Scaup, Male Female Ring-necked Ducks, Plum Cove Beach, Ring-necked Duck, Rockport on March 15, 2018 by Kim Smith.